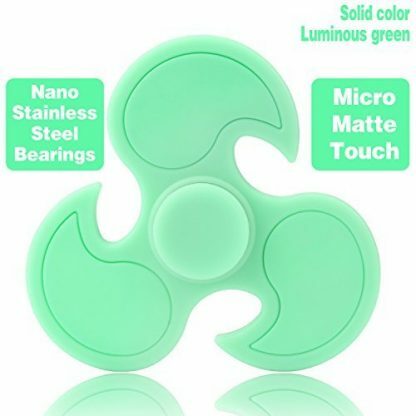 NEVER RUST, MORE QUIET: Hand Spinner with Imported nano stainless steel bearings, our hand spinner bearing NEVER RUST, MORE QUIET than the general bearing in terms of the market. No big noise Easy to carry, small, simple, discrete and fun, also effective for focus and deep thought with using this hand spinner. 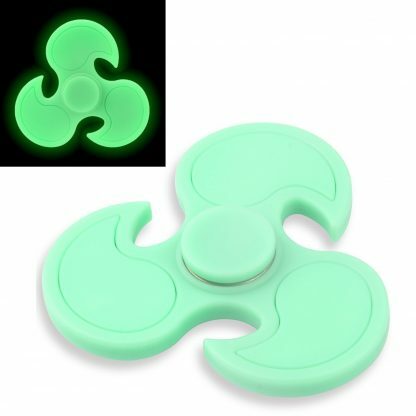 Glow In the Dark: Green Color. 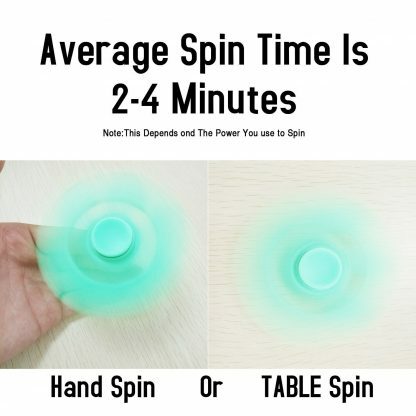 FAST AND FUN: 2-4 minutes average spins great for fidgety hands, ADD & ADHD sufferers helps relieve stress.Concave handle cap design, holding feeling is more comfortable. A GOOD CHOICE FOR KILLING TIME: Hand Spinner helps relieve stress.User-friendly – No Repair, oil, maintenance needed! 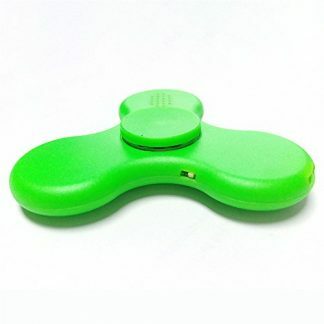 Use it right out of box. 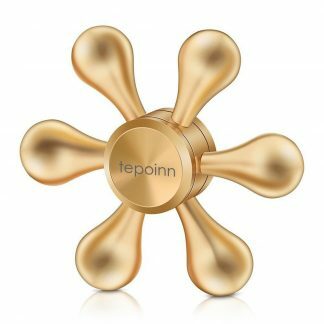 Our Hand Spinner Use Imported nano stainless steel bearings,NEVER RUST, MORE QUIET than the general bearing in terms of the market. 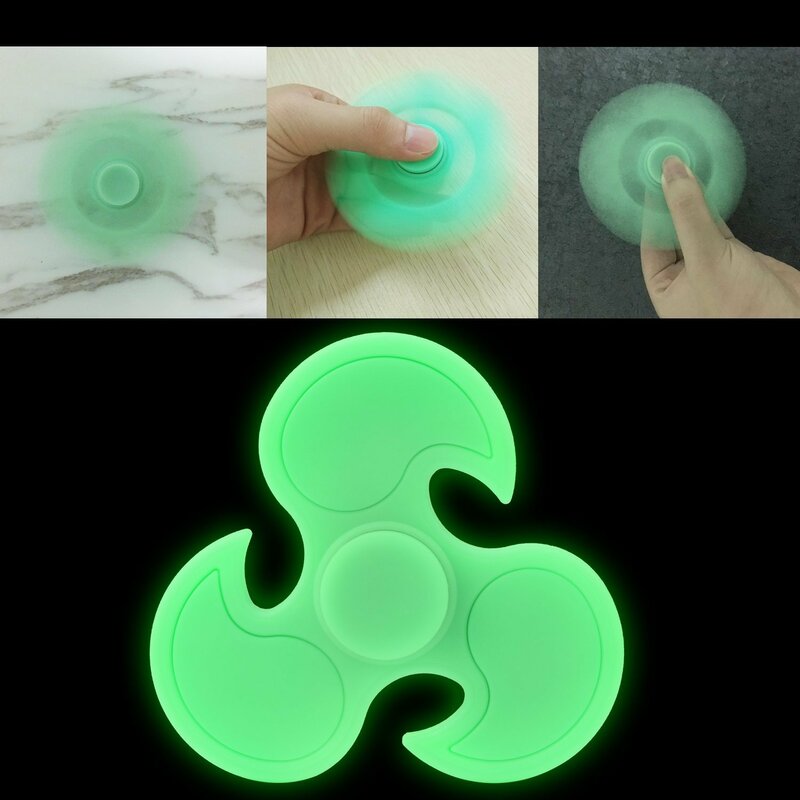 Our Hand Spinner Use aluminum ABS material with high quality, feeL very good gravity, Non-toxic and smellless, fast rotation, Micro matte touch feeling surface, Soft Feeling. 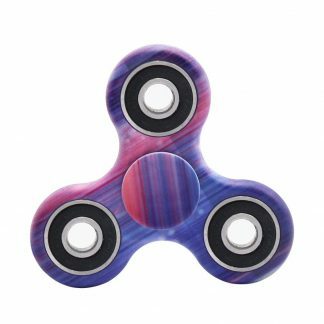 Our Hand Spinner Can Spin 2-4 minutes average spins great for fidgety hands, ADD & ADHD sufferers helps relieve stress.Concave handle cap design, holding feeling is more comfortable. 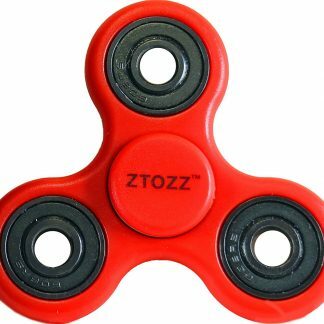 We offer 45 Days Money Back & Lifetime Guarantee and Friendly, Easy-to-reach Support. 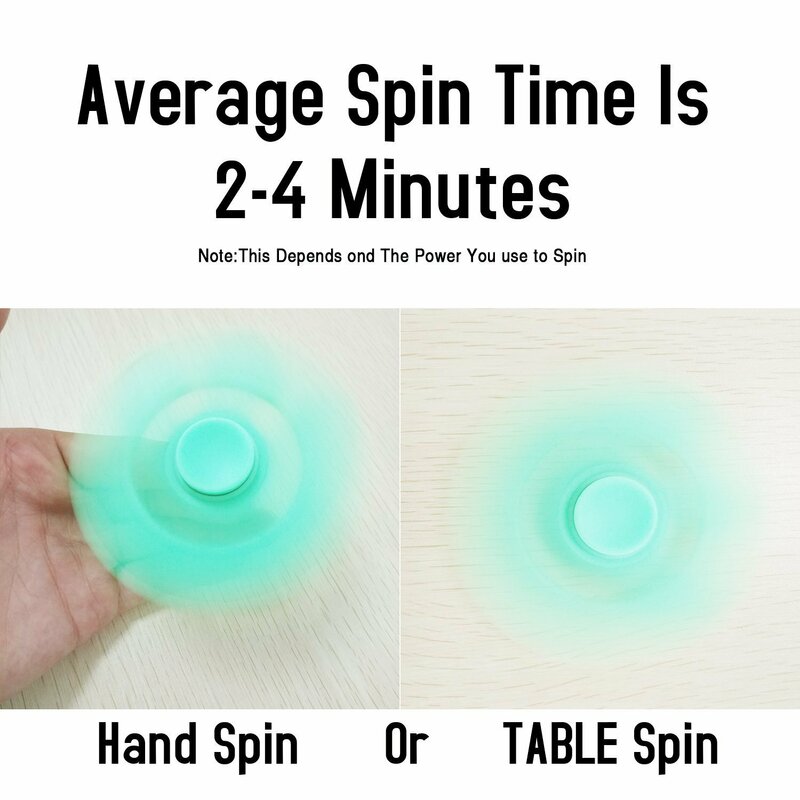 Please Choose ESARORA Direct. 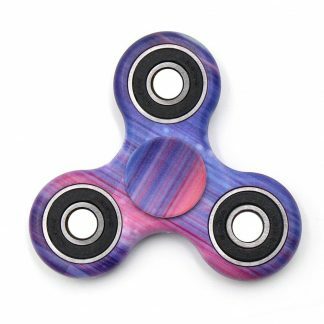 Just Click “Add to Cart” button to pick ESARORA Hand Spinner home and fine the amazing answer!